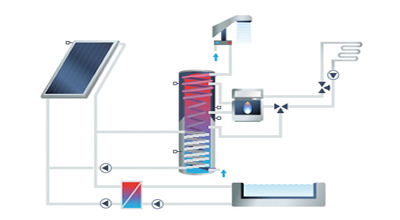 Now imagine that same water moving slowly though a system specifically designed to heat and store water – that is the essence of solar thermal water heating. People have for centuries used water heated by the sun and stored it for bathing, hand washing, cleaning clothes, heating homes and much more. The solar thermal systems used today combine the most efficient techniques for capturing the sun’s heat with modern plumbing systems to produce cost-effective hot water and reduce the need for gas or electricity to heat water. 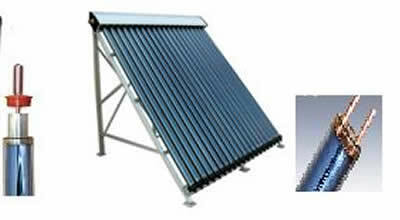 An important distinction among solar thermal systems is whether they are of direct or indirect design. 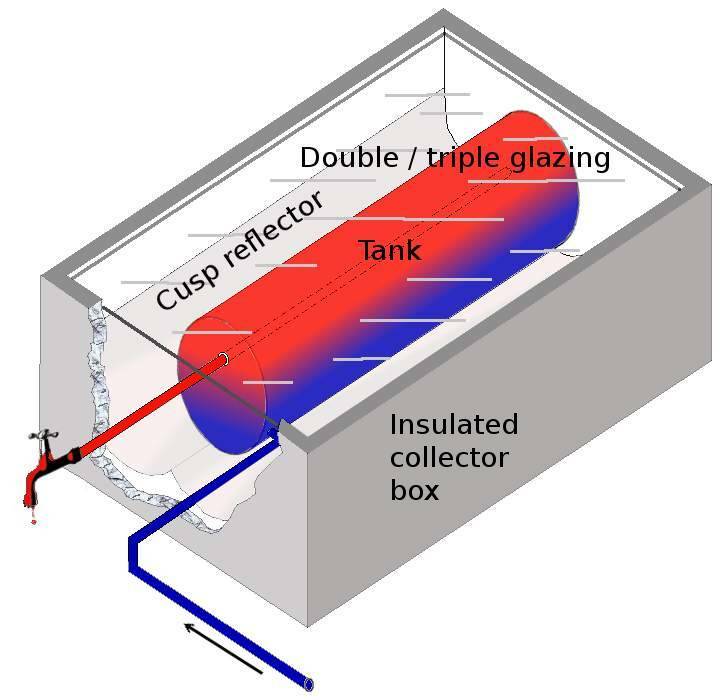 In an indirect system, also known as “closed loop,” a simple pump moves the antifreeze solution through a loop into the solar collector, through the collector’s pipes, and out of the solar collector. Then, the sun-warmed antifreeze solution flows into a heat-transfer unit where it warms the cool water heading into a conventional hot water tank. The antifreeze solution then returns to the pump and again flows into the solar collector without ever mixing with the building’s water. Indirect systems are encouraged in climates with extended periods of below-freezing temperatures. We primarily install these types of systems. We find they produce the greatest amount of energy, more consistently, with a greater service life than other types of systems.